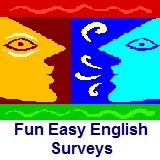 ﻿ Fun Easy English - new american english study practice reading writing survey poll opinion questionnaire do you think american citizens should be allowed to own guns. Home - Survey - Do you think American citizens should be allowed to own guns? Do you think American citizens should be allowed to own guns?